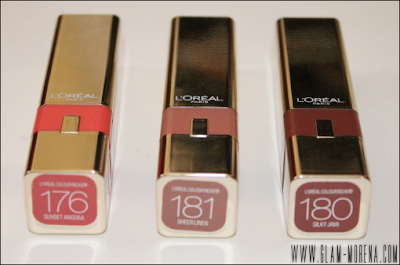 Glam Morena: L'Oreal Colour Riche Caresse Lipstick. L'Oreal Colour Riche Caresse Lipstick. I was recently in Target and I came across the new L'Oreal Colour Riche Caresse Lipsticks! I've been curious and wanting to try these out since I saw them on a few U.K. blogs. Most of the shades were out of stock on the displays though. I decided to buy three that I know I would wear regularly. 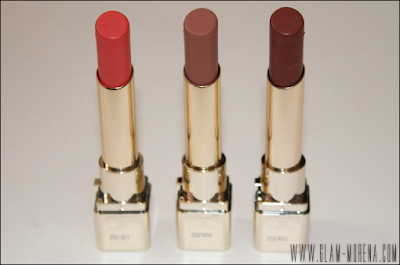 L'Oreal Colour Riche Caresse Lipsticks in Sweet Angora, Sheer Linen, Silky Java. 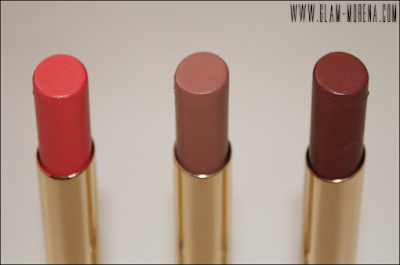 Below I included some swatches of the L'Oreal Colour Riche Caresse Lipsticks! Swatches from left to right: Sweet Angora, Silky Java, Sheer Linen. Lip swatches from left to right: Sweet Angora, Silky Java, Sheer Linen. 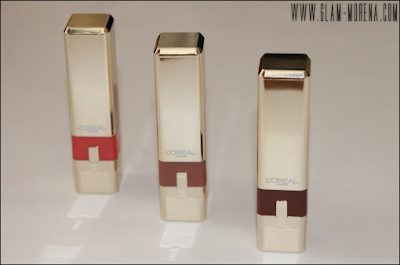 Have you tried the L'Oreal Colour Riche Caresse Lipsticks? Will you? Thoughts? How would you say these compare to their Le Balms? 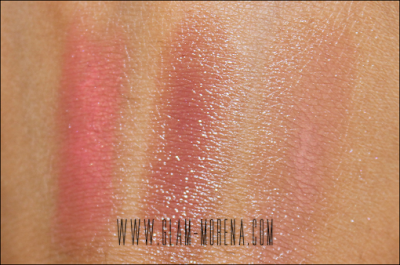 They look similar in texture and pigmentation in the swatches. Sweet Angora is so pretty. I can't wait to try these! I haven't tried these but I definitely will! Sweet Angora is calling my name!